There’s nothing inherently bad about a promotional tone; it just doesn’t belong on Facebook. 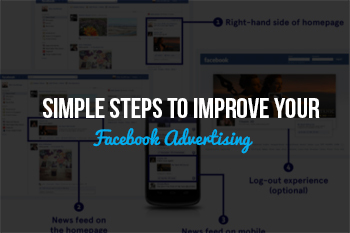 No one checks their Facebook newsfeed to read advertisements from businesses. "Whom do you trust more: your best friend, or a company trying to sell you something? If you try to sell at "hello," you are falling into the latter category. Take time to build a relationship with your prospect before going for the sale…. Whether your business is a dentist’s office, a gym or an accounting firm, your sales funnel stays the same. Blog first; second, opt-in for a Facebook like; third, opt-in for a lead magnet; and, fourth, monetize." The best way to build a relationship with followers is to establish credibility with your original content. This will help you generate leads and monetize. Social media metrics can help show you if your ads are effective or not. Moreover, they’ll provide you with some interesting insights regarding your posts. You may find, for example, that your posts are most effective between 10 and 11 AM, thereby contradicting your strategy to post in the evening. You’re not limited to targeting ads at your current followers. By using Facebook’s Lookalike Audiences tool, you can find new followers who are similar in certain regards to your existing ones. Assuming that your current followers are in your target market, you’ll likely target relevant users with your ads. Facebook advertising isn’t rocket science, but it’s also not as simple and straight-forward as something like search engine optimization. To talk more about Facebook advertising, or anything else, contact us today.